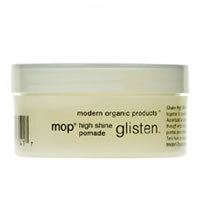 MOP Glisten High Shine Pomade helps you achieve super style with super shine. Evening primrose oil, certified organic oatstraw and horsetail work together to create pliable manageability with reflective shine. This light, non-greasy formula enables you to style, shine and help protect. Accentuate an up-do or apply a final touch to shorter styles. Can be used on wet hair small amount, roots mid length and ends when blow-drying. 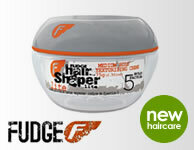 Can be mixed with heavy or light hold gel to add desired hold. This product will hold in moisture.